Posted on March 8, 2019 Written by Kay & Aud No Comments on Aly & AJ: Sanctuary Tour May/June 2019! Posted on November 29, 2018 December 4, 2018 Written by Kay & Aud No Comments on Ten Years Deluxe Edition Is Out Now! Check out these wonderful performances of Aly & AJ performing “Promises” and a cover of “Bang Bang” (My Baby Shot Me Down” from Reverb Sessions. In a recent conference call, sisters Alyson “Aly” and Amanda “AJ” Michalka both talk about the group’s comeback. What made you want to adopt an ’80s synth pop sound for the songs? AJ: Aly and I were ready to do something totally honest to our passion for music, which happens to be ’80s pop. Aly: It’s the type of music we wish we had written. If I heard another artist singing these songs, I would be jealous because they’re dope songs. We got that inspiration through the music we listen to and because of our producers. The melodies of the songs we were exploring work with well with an ’80s nostalgic production. AJ: It’s really fun. It’s a lot of synths. It’s high energy. It’s a mix of old and new. We have a giant disco ball that we take on the road with us. It’s a big party, and we can connect with the fans in a great way. The live show is locked in. Last night in Toronto, it was so insane. We even played “Potential Break-Up Song” twice. It’s going to be a great show. You don’t want to miss it. Sister duo Aly & AJ capture a distant moment in time for Millennials who grew up watching Disney Channel. Their pop-punk music videos, from “Rush” to “Potential Breakup Song,” played religiously during commercial breaks, making the pair household names for every teenager dreaming of love (and romanticizing heartbreak) under their parents’ roof. But because Aly & AJ were thrust into the spotlight early on, they too were learning about life along with the rest of their fans, only now making music from a position of experience a decade later. 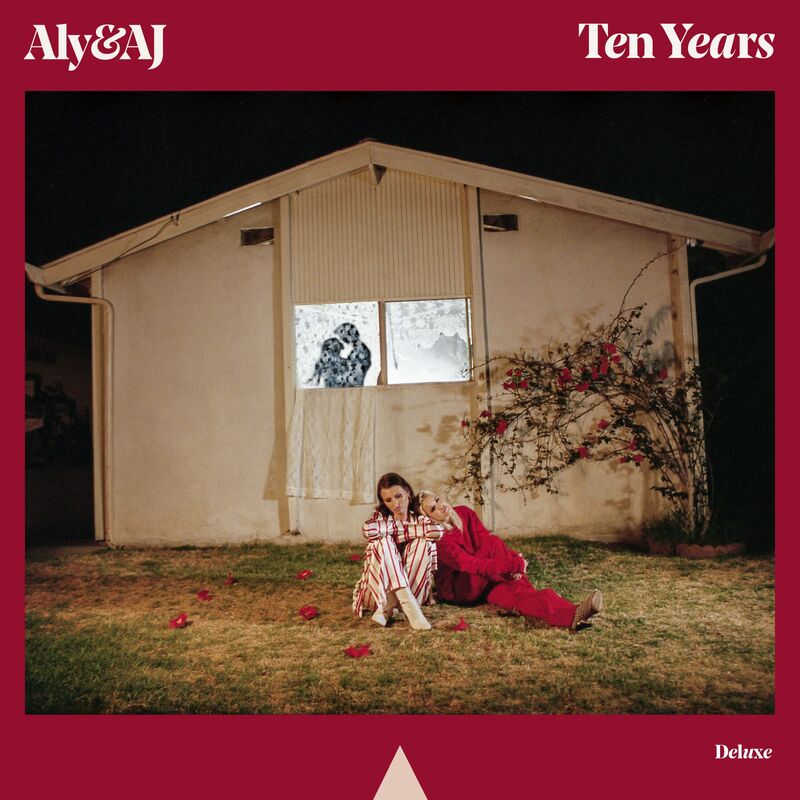 Their EP, aptly titled Ten Years, no longer looks at love as an idea, but as something they’ve lived through — and the authenticity is apparent with each track. Now, Aly & AJ are bringing their new material on tour through July, and have just released another single in celebration of Pride month. The track, “Good Love,” follows the nostalgic, synth-driven sound of Ten Years, with dense, power-pop production that slowly builds into a soaring, stadium-sized chorus. “I wanna touch somebody/ Cause I love somebody,” the sisters sing with more joyful undertones than the searching melancholy of their comeback EP. Fulfilling every twenty-something’s teen dream, we sat down with Aly & AJ in Central Park hours before their Gramercy Park show in New York to talk about their return to music. Aly: It’s interesting, some of the songs have been more of a challenge than others. We’ve changed some of the instrumentation more than the actual melodies of what we’re singing. It always drives me nuts when artists do such a change in the melody of the song that people will recognize, so that it’s unrecognizable — that’s always bizarre to me. So we chose to kind of stick with the basics of what the song is, and just change more synths sound, guitar sounds, adding little things here and there — slight tweaks to make it flow better with our more recent stuff. I mean, “Potential Breakup Song” is pretty much as it’s heard on the record. That’s the one song that we didn’t touch. AJ: The flow feels good. We had to figure it out, but that’s what rehearsal is for. There are some songs fans are expecting to hear. I’m still proud of those tunes, so you might as well incorporate them into your set cause it’s just gonna make the energy of the crowd that much more excited. And the response to the old tunes has been pretty wild. The coolest part so far being on this tour is people’s engagement with the new music. They’ve been so involved in the EP. People know every lyric to all four songs and I’m kind of shocked by that. New Single “Good Love” Available Now! Aly & AJ’s newest single “Good Love” is OUT NOW! It’ available on all streaming services. Listen or purchase it here! “Good Love” is a fantastic song and we’re in love with it! Posted on June 16, 2018 June 16, 2018 Written by Kay & Aud No Comments on New Single “Good Love” Available Now!